If it’s fried dumplings and norimaki they’re after, check out our list of some of Melbourne’s most kid-friendly Japanese restaurants. From the wow factor of all-you-can-eats to the chugga-chugga of sushi trains, these perfect eateries are sure to please even the fussiest of little palates. Just the name of this place will appeal to the kids – even if they are still a little wary of eating seaweed! Chocolate Buddha is located in Melbourne’s fabulous Federation Square precinct – an excellent location for kids as there is always something happening there. For casual dining, this place gets top points. The communal-style seating is perfect for families to spread out, whether inside or out, and provide plenty of room to move around – because we all know kids don’t sit still for long! These guys even have a dedicated kids menu, including ramen noodles, dumplings, bento boxes and maki rolls. And it couldn’t be called Chocolate Buddha without something sweet on the menu – the chocolate mousse will put smiles on those dials! This family-friendly restaurant in the heart of Melbourne’s CBD serves up delicious, traditional Japanese fare in an inviting environment - and the Teppanyaki experience is a total giggle-fest for little ones. At Ginza, families can sit up at the benches for Teppanyakai, or make themselves comfortable at the casual dining tables for the à la carte service. There is a set kids menu available that includes miso soup, fish, squid, vegetables and fried rice. 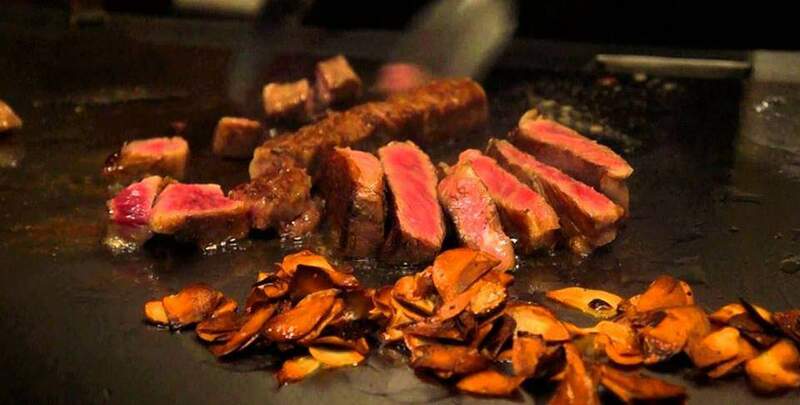 An interesting point: this restaurant uses a cast iron grill for their Teppanyaki– great for kids’ iron intake. A quality sushi joint that serves up fresh, Japanese fare every time, Sushi Hub is the perfect pick for an on-the-go lunch with kids. With locations peppered throughout Melbourne, there's sure to be one close by. From sushi boxes to maki rolls, nigiri and inari, this sushi joint offers all of the kids' (and your!) favourites. Choo choo! It’s suhi train time, and who knows, maybe the novelty of moving food could persuade them to eat a piece of sashimi. We did say maybe. Raw fish aside, sushi trains are an entertaining way to dine, and the casual nature of the experience always makes for a family-friendly meal. 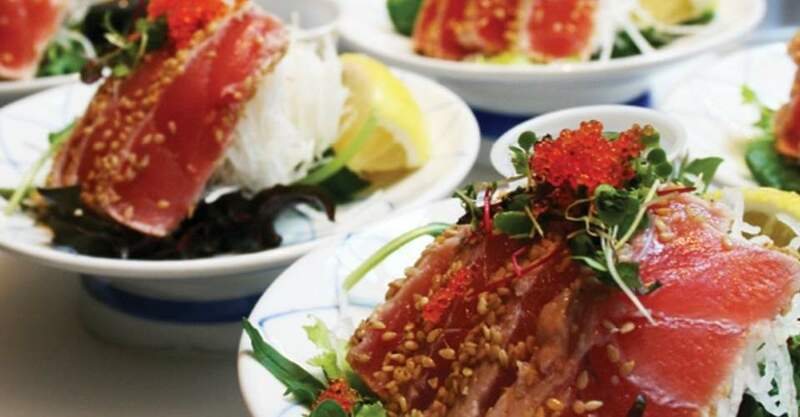 Sushi Hon is in a prime location in Melbourne’s Emporium, so if you find yourself in the city with the kids, pop in for some Japanese offerings that are a far cry from regular food court fare. This is quality Japanese food that makes an impression. At Sushi Hon you and the kids can ride the sushi train, grab a bento box or enjoy the à la carte menu. 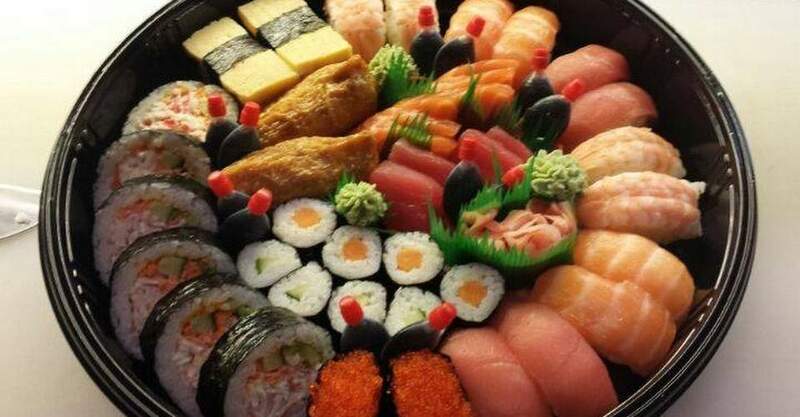 Shuji Sushi is a chain of contemporary Japanese cafes that you really can’t go past when it comes to quick and pleasant service, and food at reasonable prices. This is the perfect Japanese pit stop for busy families on the go. The menu includes hot dishes of ramen, soba and udon noodles; numerous bento box options, and sushi/sashimi packs that cater for every taste. Shuji Sushi also put together great platters. 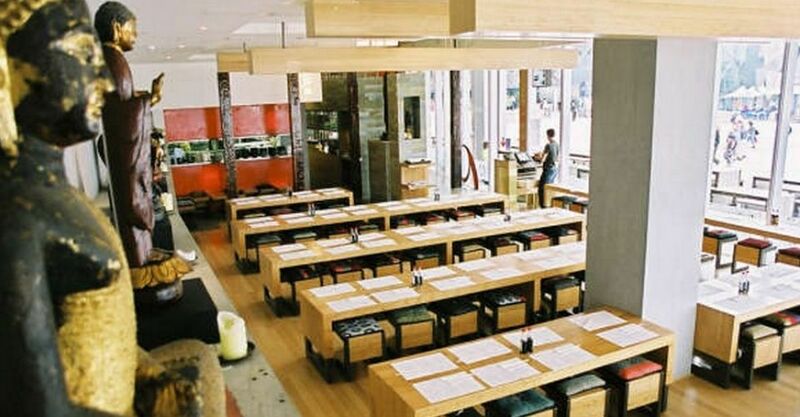 Where: Shuju Sushi cafes are location all over Melbourne. See the website for your closest one. If you’ve just wrapped up Saturday sports with the kids and their appetites are off the charts, Okami is your place. 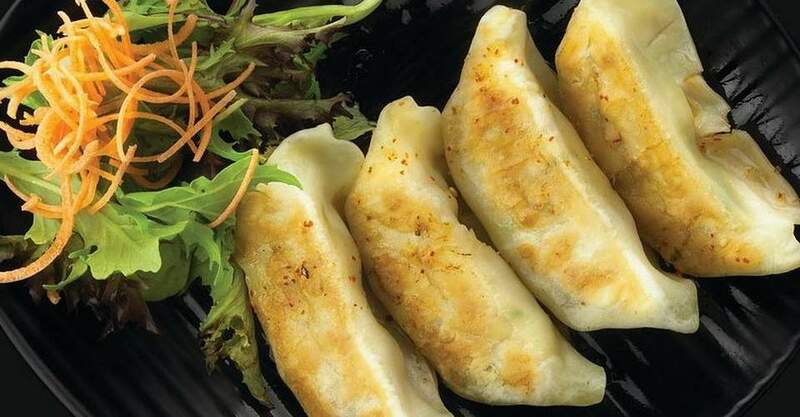 There are six restaurants around town, and they make the perfect family-friendly dining option should the kids have a BIG hankering for maki rolls and gyoza. These restaurants have a casual café atmosphere and what makes them so popular is their all-you-can-eat menu. Yes you heard that right. The all-you-can-eat menu is offered to groups of two or more people, and diners can eat as much Japanese food as they want within a two hour window. Ready, set, GO! Cost: Adults all-you-can-eat menu $32.80, children four – 12 years $18, and children under four eat FREE.